The door lock actuator is an electric actuator that operates the door latch mechanism in cars with power door locks. In many cars, the door lock actuator is built with the latch mechanism into one assembly (in the photo). For this reason, the whole door lock assembly is often called door lock actuator. There are several reasons why a door lock actuator may need to be replaced. Sometimes one of the door lock actuator stops working completely. In some cars, a door lock actuator becomes noisy and produces a squeaking or buzzing noise when power door locks are locked or unlocked. If the electric motor or the mechanism inside the door lock actuator wears out, the door lock may lock or unlock slowly or work sometimes, but not all the time. 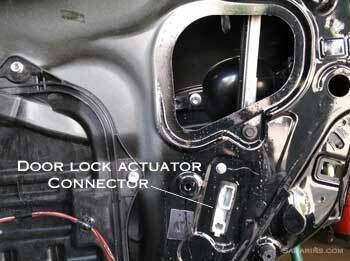 In some cars, a failed door lock actuator may lock but won't unlock or the other way around. In most cases, the problem with a door lock actuator is limited to only one door. In this car water dripping on the door lock connector triggered a random alarm. It's not uncommon to see a faulty door lock actuator to cause an anti-theft alarm to go off randomly. 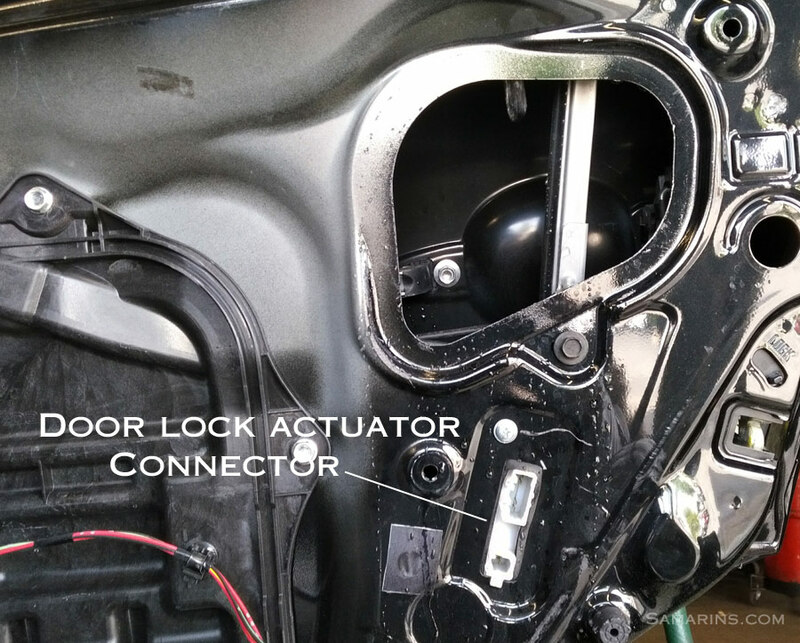 Sometimes it happens in a rainy weather, when water penetrates inside the door lock actuator connector, see the photo. For example, in this car in the photo, repairing the source of water leak and sealing the connector with protective grease fixed the problem. In some cars, this problem can be diagnosed with a scan tool. A a scan tool can show which door (or the trunk or the hood) triggered the alarm for the last several times. If multiple alarms were triggered by the same door, the door lock connector and the actuator must be inspected. Often, replacing a door lock actuator in the door were the alarm is most often triggered, solves the problem. 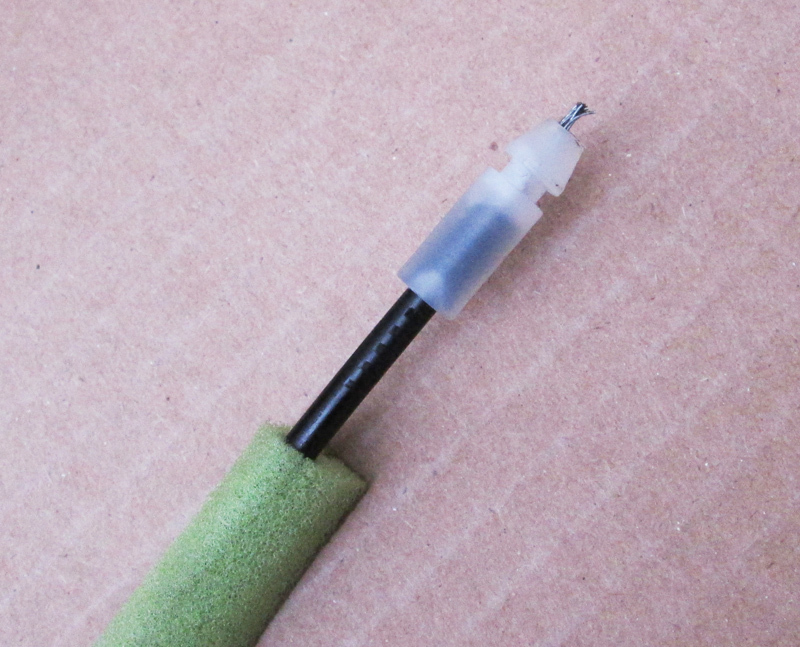 Often, the cable that connects the door lock actuator to the inner door handle may be built in into actuator assembly. If the cable breaks and it's not sold separately, the whole door lock actuator may also need to be replaced. See the example of a broken door lock cable. To diagnose, your mechanic may need to take the door cover off and test the voltage at the door lock actuator, following the wire diagram. The voltage is measured when the power lock button is pressed. 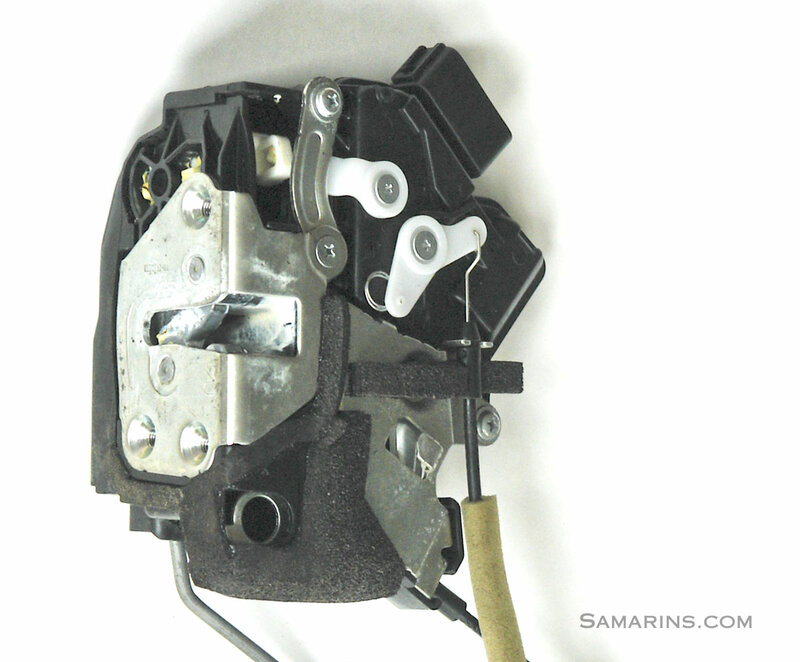 If there is a voltage, but the actuator doesn't work, the door look actuator may need to be replaced. If there is no voltage present when the power lock switch is operated, the problem must be further traced using the electrical diagram. It could be a main door lock switch, broken door wiring harness, bad connector, failed control module or simply a blown fuse. See: how to check a fuse. 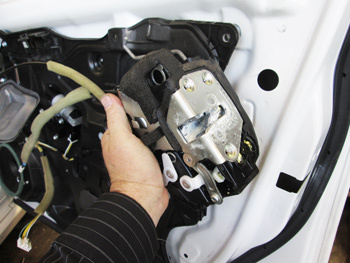 Replacing a door lock actuator at a dealership may cost $80-$180 labor plus $120-$270 part (OEM). Aftermarket parts are cheaper ($50-$120), but they are not available for all cars. How easy is it to replace a door lock actuator as a DIY project? We would rate the difficulty of his job from 6 to 8 on the scale from 1 to 10, 10 being most difficult. The door cover needs to be removed. The access inside the door is limited and you would need a small flashlight to see inside the door. 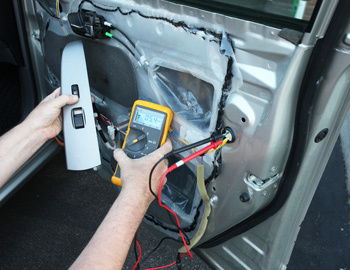 In some cars, the window regulator or the outer door handle may also need to be removed, which is often tricky. The most difficult part, though, is to properly connect all the cables and levers after the new door lock actuator is installed.